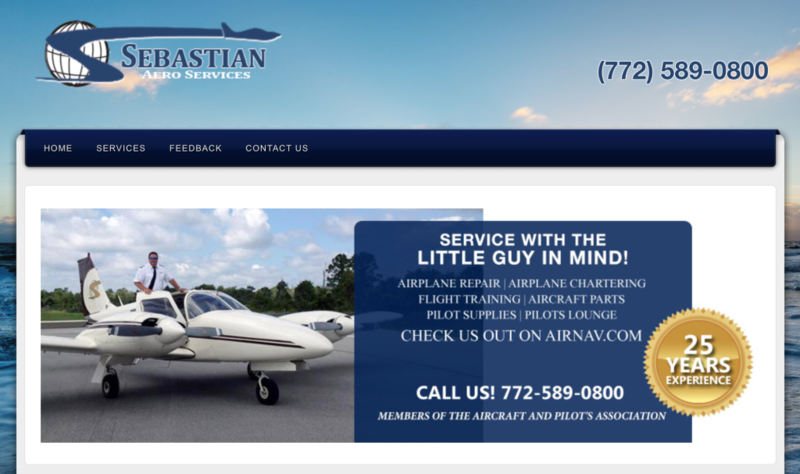 Sebastian Aero Services is now called Pilots Paradise and is under new ownership. Come and visit our friendly staff at the same address (300 Airport Dr W, Sebastian Airport, 32958) about your aircraft requirements: maintenance, fuel, tie downs, aircraft rental, flight training and charter flights. Feel free to call us on the same phone number: 772 589 0800. We look forward to servicing all your aircraft needs and the team hopes to meet you soon.